Waylon Hicks attended the Conservatory of Music at The University of the Pacific where he earned a BA degree in Music, graduating in 2004. Upon moving to Southern CA in 2005, he immediately began teaching privately. Mr. Hicks is known as a highly knowledgeable and extremely patient instructor. He has a great ability to explain things clearly and is very capable of motivating his students to progress on their chosen instrument to their highest potential. He currently provides lessons for saxophone, and clarinet students. In addition to teaching lessons, Waylon is also a highly accomplished performing artist. 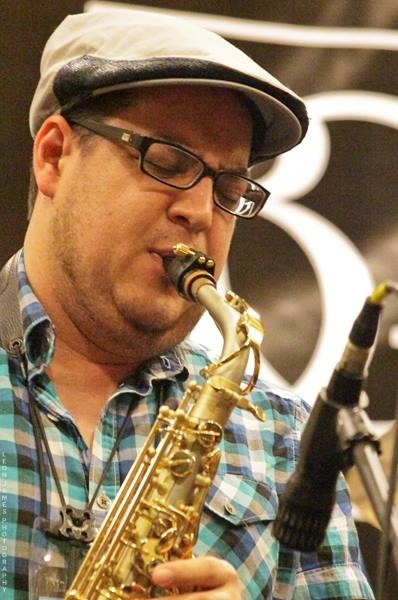 Waylon is a local funk/jazz artist who performs regularly with his band, the Waylon Hicks Project. Mr. Hicks is an endorser/performing artist for: Legere Reeds, Drake Mouthpieces, Silverstein Ligatures, On-Stage Stands, AMT Mics, Gator Cases, Rock-n-Roller Multicarts, and Gel Sax Straps. Below are the lessons openings for Waylon Hicks. Please find a time below and click the "register" button to sign up for a class.